Wow… it’s over. One whirlwind year as Student Body President and four total years on Student Government, all done as of two weeks ago. The more time I’ve had to reflect on the past year in particular, the more I’ve come to appreciate just how fantastic it was. I’ve made many speeches to various groups, sat in on Board of Trustees meetings, and most importantly, collaborated with students in both the Middle and Upper School. My favorite part about the job was interacting with so many different people in the Pingry community, because it highlighted just how incredible the people in this very community are. Here are just a few examples to demonstrate just how unique Pingry is in being such a close community. You have to form a relationship with your teachers. You see each other almost everyday for nine months, making it impossible to not have at least some type of relationship (the nature of which I can’t assume). This student-teacher dynamic, at its most fundamental level, is not unique to Pingry, although the strength of it is. What is special about Pingry is just how many teachers you will form lasting relationships with who never actually taught you. We all have at least a handful of adults scattered throughout the school who we never interacted with in an academic, athletic, or art setting with whom we are still friendly. For me, Mr. Burns, Mr. Coe, and Mr. Keating stand out as just three of the many teachers who never actually taught me but still interact with me as if we’ve been in class together for four years. It is easy for teachers to completely ignore students they’ve never had in class, because those students aren’t part of their job description. But at Pingry, teachers usually don’t make anything easy for themselves. They go out of their way to know most of the students, having taught them or not, and be cordial to everyone who they see in the halls. That is a testament to the kind of human beings that comprise our faculty. Another element of Pingry that I’ve taken great pride in over my thirteen years as a student here is the Honor Code. The Honor Code is written, but its effects are felt far past the borders of the 8×10 piece of paper we sign at the beginning of each year. The Honor Code is why the Middle School can have no locks on lockers. It is why students can forget a laptop in their respective area in the high school and return confidently the next morning knowing it will be exactly where they left it. It is why a teacher can leave the room in the middle of an assessment. These are all things we take for granted because it is so ingrained in us as members of the community, but these things are not normal; they are unique to our community. The presence of the Honor Code is stitched into our moral fabric. I can’t tell you exact sentences or phrases written in its original document, but I can tell you that the thought of cheating on an assessment has never even crossed my mind, thanks to its constant, looming presence. For me, it was not because I was afraid of getting in trouble with the administration if I had violated the Honor Code. 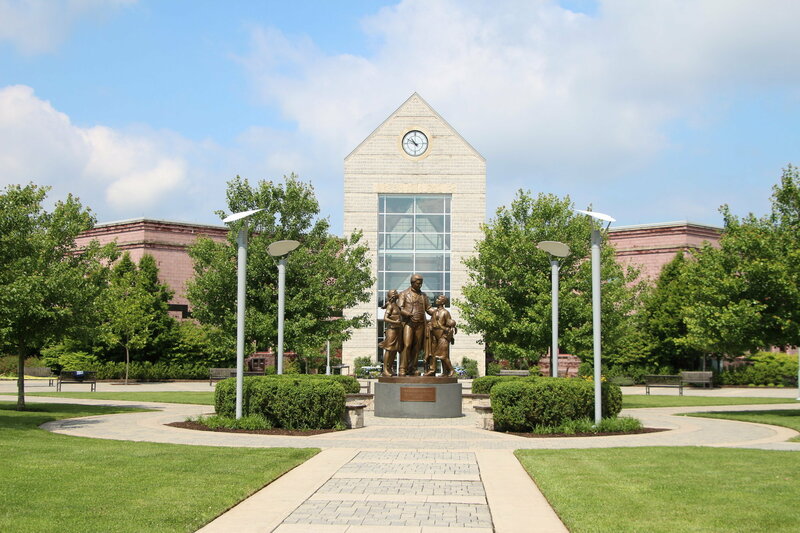 It was because I was afraid of violating the almost one hundred years of the Code, as well as the thousands of students before me that abided by that Code that strings generations of Pingry students together. Most unique about the Pingry School is, of course, the students. At Pingry you have an all-star golf player who is an excellent student and is also on the very successful robotics team (Ami Gianchandani). You have an actor, Politics club president, and a member of the Glee Club (Calvary Dominique). You have a softball player, captain, and student government representative (Maddie Parrish). I could go on with 135 other seniors and their various impressive titles and achievements, and that is great. But what is truly different about Pingry students is their humility and grace. If a stranger walks into the school and begins to interact with the students, that person would never guess just how accomplished each of the students he or she is interacting with are. And the best part is, we are all always hungry for more. Ami, Cal, and Maddie, I’m sure, are happy with the many accomplishments they have accrued in high school, but they are in no way content. The same can be said for every other student in the school, and the success is contagious. I consider myself extremely lucky to be around such talented, caring, and incredible people over the past thirteen years. 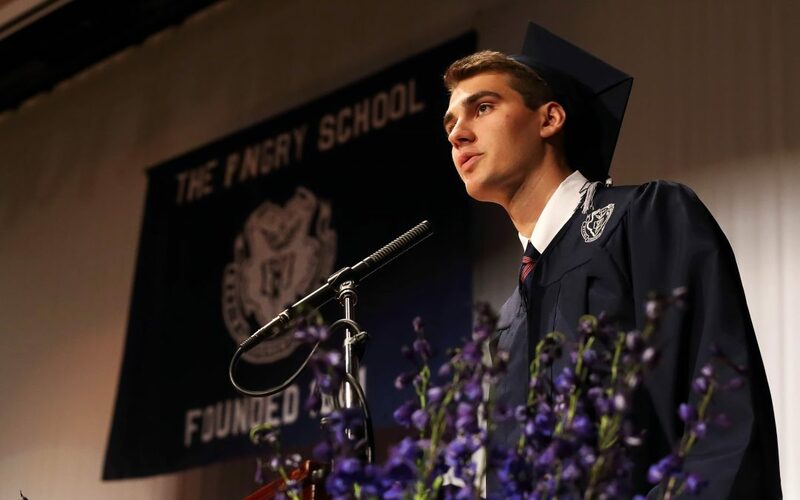 Everything starts at home and with the family unit, but the Pingry community has been a close second in the formation of the person I am today. It has been an honor getting to know all of you, and I look forward to seeing all the great that is done by the class of 2018 and beyond. I don’t know when, how, or under what circumstances, but we will meet again, and I know it will be just as if we never left. God Bless.